Since times immemorial, artists have used their skills and creativity to record the passage of time. The ‘Canvas of Courage’ is one such initiative which pays homage to the heroes of the unfortunate incident that took place on 26 November, 2008, while documenting the event. The ‘Canvas of Courage’ is an artistic tribute to the brave hearts of the unprecedented terrorist attacks that the city witnessed on 26/11/2008. This initiative, by Kokuyo Camlin was an expression of respect through art, towards those brave hearts who sacrificed their lives protecting others. Hon. 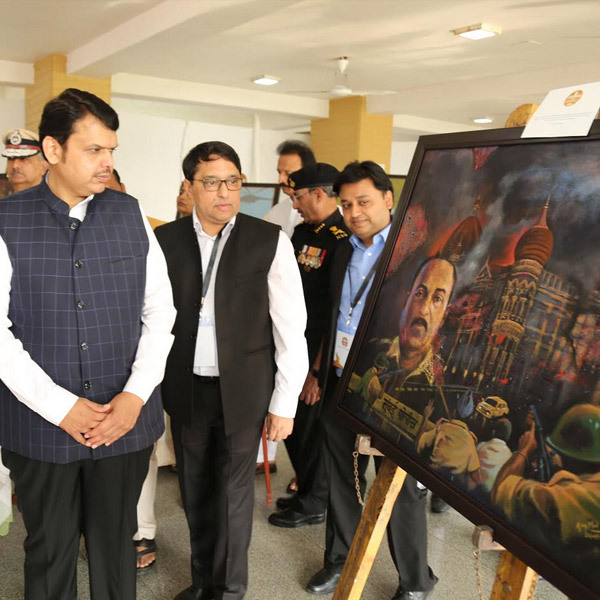 Chief Minister of Maharashtra, Shri Devendra Fadnavis along with the Commissioner of Police, Mr. Subodh Jaiswal and the Joint Commissioner of Police, Mr. Deven Bharti unveiled these painting installations at the memorial at the Police Gymkhana, Marine Drive. These paintings made by the students of the JJ School of Art, based on the theme of the unprecedented terror attacks the city witnessed 10 years ago, were presented to the Office of the Police Commissioner of Mumbai. 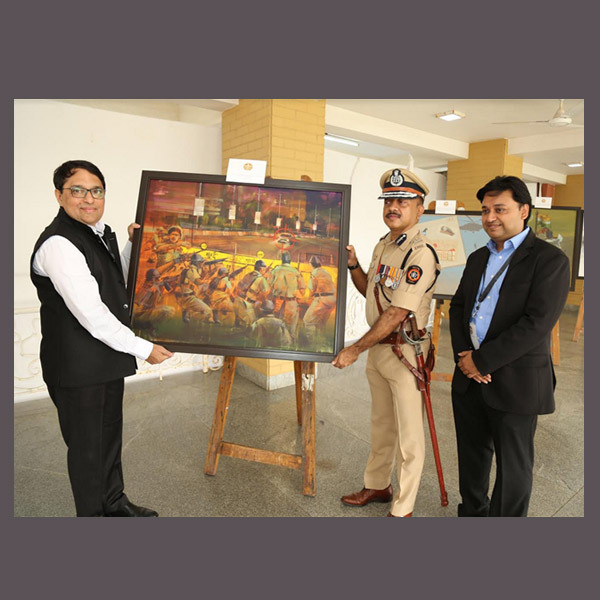 The hue of colours used and the artwork was much appreciated by the Chief Minister and the Police Officials – for they depicted the brutal attack and the resilience exhibited by the armed forces, Mumbai Police, NSG, Mumbai Fire Brigade and the common man during the ordeal. Also, commenting on this initiative Mr. Saumitra Prasad, Chief Marketing Officer, Kokuyo Camlin said, “Kokuyo Camlin believes in the philosophy of ‘Art for a cause’, and on this 10th anniversary of the tragic 26/11 terror attack, we pay a small tribute to the brave Mumbai Police and other martyrs for their acts of courage, expressed through these paintings by students of JJ School of Art”. Continuing with this initiative, on the 27th November, around 30 children of police officials were invited for an Art & Craft competition at the Kokuyo Camlin Studio at KidZania, RCity Mall. This event focused on bringing joy to the children of the brave men who ensure the safety of the citizens, everyday. The event culminated with an audio visual presentation on the theme of 26/11 at the KidZania auditorium and an awards ceremony where the children were presented with Kokuyo Camlin gift hampers. It has been ten whole years and still the sound of gunfire haunts the hearts of those who lost someone that day… The ‘Canvas of Courage’ is Kokuyo Camlin’s tribute to the martyrs on the 10th anniversary of the 26/11 attack.